John Errington - THE MASSACRE AT LE PARADIS - HELL IN PARADISE - MAY, 1940. 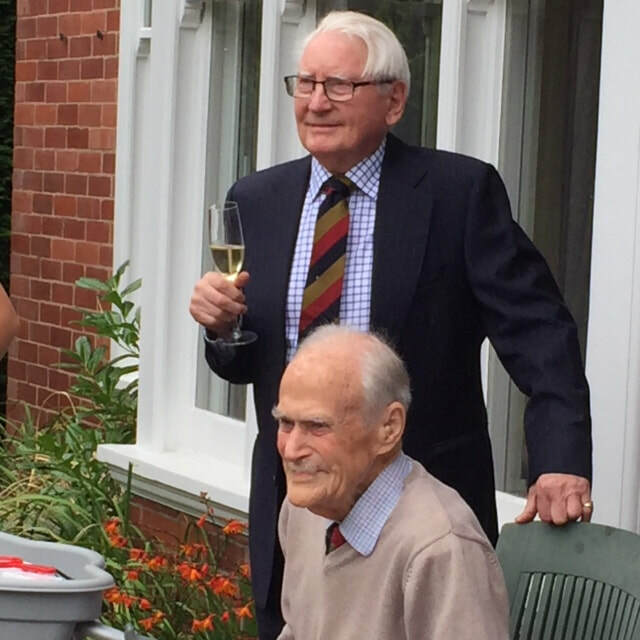 Major John Errington, who in 2018 celebrated his 100th birthday, fought at Le Paradis and served as Regimental Signals Officer for the Royal Scots. 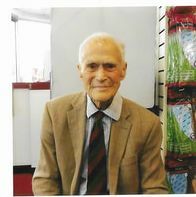 He was brought up at a house called Beeslack near to Glencorse and educated at Wellington College before going to RAF Cranwell where he learnt to fly solo in a biplane. His elder brother had been expected to join the Royal Scots but didn't and John, therefore, switched to an Army career, went to Sandhurst and joined the First Royal Scots. 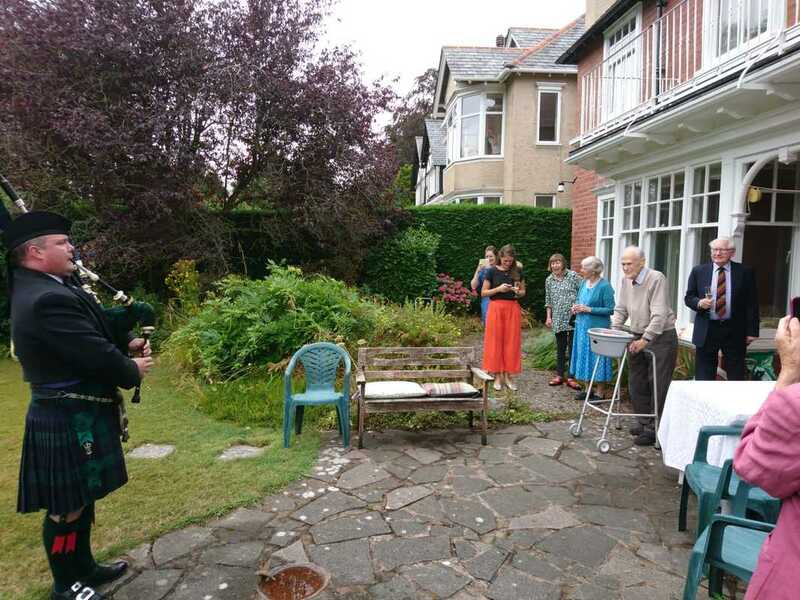 The Erringtons have a long family tradition of Royal Scots connections going back to Waterloo - an officer called Stamford was a Royal Scot. After Le Paradis he became a Prisoner-Of- War. He learnt Arabic off a Palestinian labourer in the Oflag. 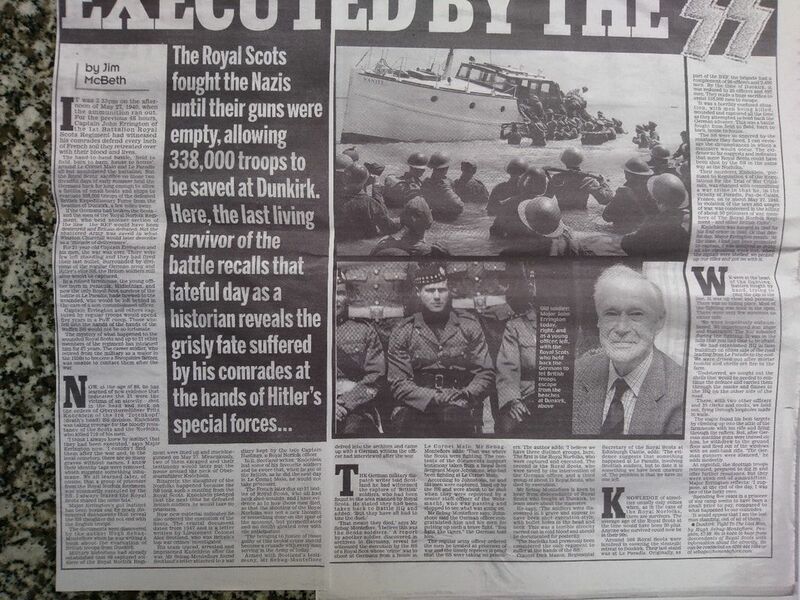 Apparently he also learnt to dinghy sail as a POW! Sailing became a life long hobby. He also learnt Swahili as a POW and was an avid reader. After the war he joined Army Intelligence studying at the Middle East Centre for Arab Studies (MECAS) in Jerusalem. In July 1946 his Arabic teacher kept the class back for further studies over the lunch break. The King David Hotel was promptly blown up where they were all due to meet for lunch. He met Brendahis wife who was working for the Foreign Office. Major Errignton also saw service in the Far East. After his military service he farmed on Mull and close to Aberdeen. 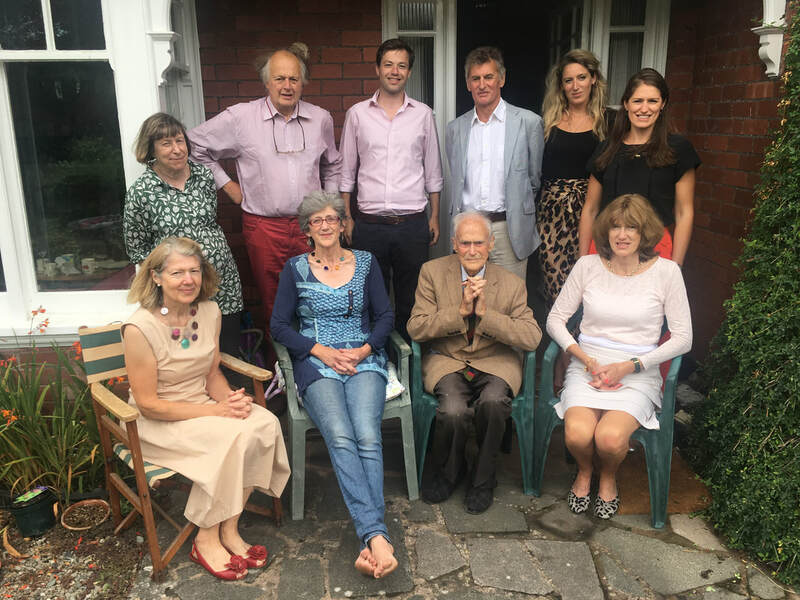 "On 12th August, 2018, John celebrated his 100th birthday with his family at his home in Shrewsbury. John was delighted with all the messages he received, in particular the ones from Paradis from the Mayor of Lestrem and from Helene Chauvin. A military piper attended and played The Royal Scots regimental marches. He received a card from Her Majesty The Queen. 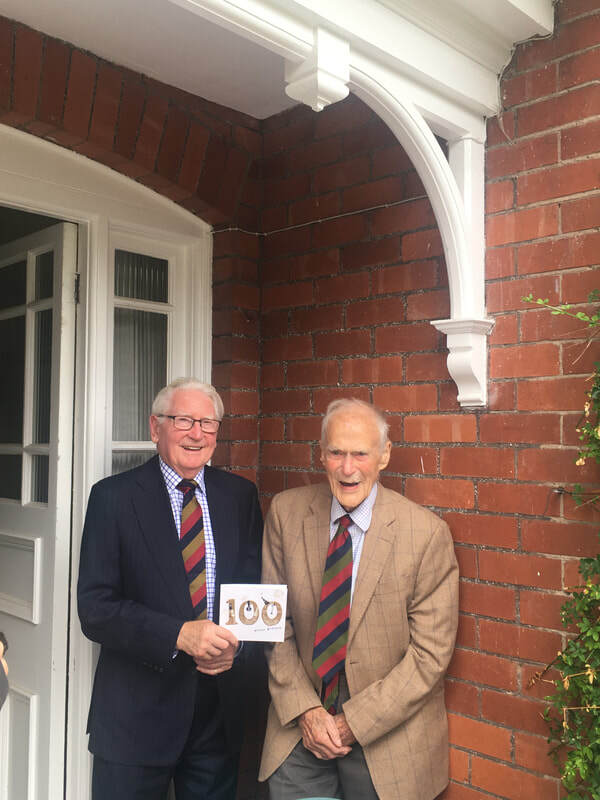 Colonel David Trafford-Roberts (now 91) and his wife Ros visited and David gave John a card from the Regimental Association of The Royal Scots." 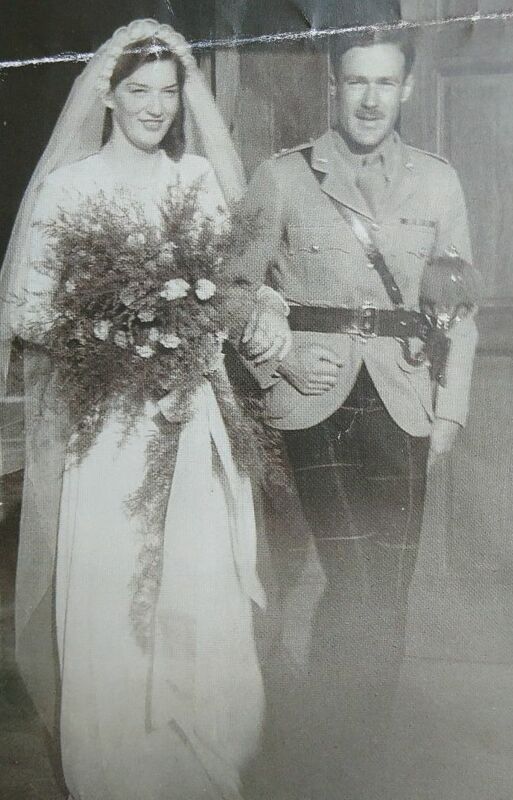 Pictured on the left is Major Errington at his wedding and above is a newspaper cutting in which he is featured. ​Below are more photographs of Major Errington. These were taken at his 100th birthday celebrations.